SPOILER ALERTS: This review refers to plot points in some of the films mentioned. Two recently released films, Argo and Zero Dark Thirty, both nominated for the Oscar for Best Film in the 2013 awards, have been criticised in some quarters for aspects of their portrayals of the CIA. Argo, which won the award for best film has been accused of exaggerating the role of the CIA agent, altering and creating events for dramatic effect, and presenting the Iranian people as an aggressive and fanatical mob. In the case of Zero Dark Thirty, opinions are divided over whether the film glorifies or justifies torture as a means of obtaining intelligence; it certainly alarmed members of the US Senate who wanted the CIA to deny that such techniques had been used to gain information. Questions were also asked about whether ‘inappropriate’ intelligence had been shared with the scriptwriter. The CIA is aware of the power of mass entertainment products in promoting a certain image. They have had their own Entertainment Liaison Office since 1996 and appear to trade access to locations and expertise for favourable portrayals on film. In an example of bleeding between fact and fiction, the producers of the TV show 24 which featured many scenes of torture, all justified within the programme by the imminence of a wide range of large scale terrorist events, were asked by the US officer training institution West Point to tone down the violence as recruits were being ‘inspired’ by the programme to emulate these tactics. The aim of this book is to look at the role of Hollywood in supporting or subverting images of the CIA and how this role has changed over time. It examines a selection of films on a decade by decade basis from the 1960s onwards. They are analysed to determine how important a role the agency played, and if the portrayal of the organisation or its agents or ex-agents was favourable or unfavourable. Also, and most interestingly, the authors look at how the movies relate to their historical moment of production. In the 1960s, the CIA was frequently seen to play a supporting role and also a positive one. This can partly be accounted for by the strong presence of British intelligence agents in many films at this time; The Ipcress File, The Spy Who Came In From the Cold, and, of course, the Bond movies. During the 1970s there was more awareness of some of the covert activities undertaken by the CIA, culminating in the production of the Pike Committee and Church Committee reports. This led to a greater willingness to portray CIA agents, or the agency itself, in a less favourable light. However, the book points out that this tendency does not extend to criticism of the political context of the CIA’s work and its possible effects on democracy abroad. Typically, the central agency character would be portrayed favourably, but in conflict with more senior CIA staff or the bureaucracy of the organisation or the government generally (e.g. Three Days of the Condor). By the 1980s, knowledge about covert and destabilising activities carried out by the CIA was more widespread. In 1983, 53% of Americans believed that the agency had been involved in assassination plots against leaders of countries with who the USA was not at war. Films during this decade were more likely to show agents using surveillance or threats against American citizens (e.g. The Osterman Weekend and Above the Law). However, this kind of activity was frequently portrayed as the work of a ‘bad apple’ in a basically well-behaved organisation. The 1990s were marked by the transition from the ending of the Cold War to conflicts with religious and cultural factors at their heart. The book identifies the two key events as the first Gulf War and the break-up of the Soviet Union. Films such as The Hunt for Red October, in which a Russian submarine captain wants to turn his nuclear vessel over to the USA to reduce the chance of war, portray the tension between those willing to embrace a less hostile relationship with Russia and those within the security establishment advocating a military strike. Just after the 1993 bombing of the World Trade Centre, Islamic fundamentalists were portrayed as the primary villains within a film (True Lies) for the first time. In the 2000s, the authors identify many films in which the goal is to represent historical events, often to offer insight into more recent events. However, the portrayal of events or behaviours is often less critical than it could be. For instance in the film The Good Shepherd, which tells the story of the origins of the CIA, it is implied that some Nazis were tricked into giving up valuable information before being executed. Although this may be true, no reference is made to those Nazis granted protection for assisting the USA in the fields of nuclear power and bioterrorism. From these analyses, the authors suggest several ways in which audiences can be entertained by films about the CIA without having to confront some of their activities which would be hard to justify. There can be the concentration on a theme such as the Cold War when the more questionable activities were taking place in the developing world. There can be the use of humour: to be thought of as ineffectual or accident-prone could be a useful distraction from more questionable activities. 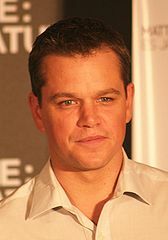 Alternatively, the CIA can be portrayed in terms of a family, and their activities a mere backdrop to themes of betrayal, conflict and revenge within the CIA (for instance in the Bourne movies). Audiences are often encouraged to go along for the ride and enjoy a thrilling yarn without considering the context. Argo is certainly full of suspense and enjoyable as an entertainment. The methodology used to select random films for analysis seems to add little to the book. Although it could be argued that the inclusion of less well known films helps to avoid the bias that could arise from choosing only the authors’ favourite films, the obvious films that cry out for inclusion end up being analysed as well, which seems to render the methodology null and void. However, there is a useful summary of other writing on this subject and an extensive filmography. It will certainly be of interest to film students and could be dipped into with interest by anyone interested in both politics and the cinema.